Unless you’ve been living under a rock, you know that it’s World Cup season! Millions of people are gathering to watch the games with their friends and family, so don’t forget to include your pooch! 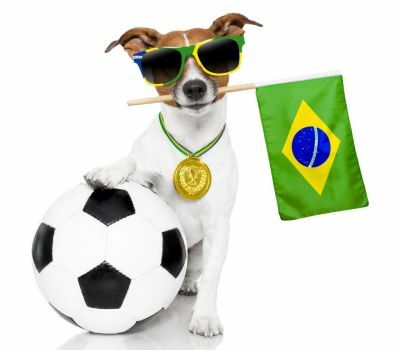 Here at Animal Fair, we have this theory that pets are the best companions to watch the World Cup with. Here’s why! We’ve all been that friend that has spent time with an adorable couple and felt a little… well… awkward. No one likes third-wheeling. Your dog is guaranteed to love you more than anyone on the planet and all your friends will be jealous of your unconditional love and cuddles. Snuggle up! 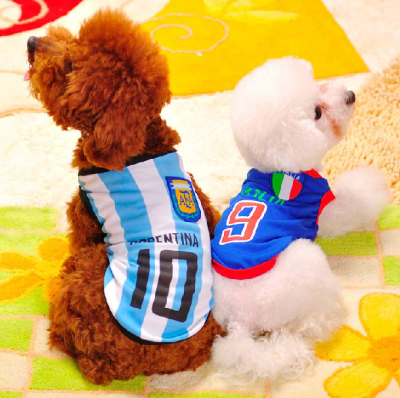 Your pet will always woof for the same team as you, so no need to worry about annoying fans of your rivals getting on your nerves. Make it even more fun and give your buddy a treat when your team scores! ¡GOOOOOOOOOL! Even if we aren’t on the field playing alongside our team, it sometimes feels like we are. Whether it’s an injured player, a missed shot, or worst of all, a lost match, our pets will always be there to give us a furry hug when we get stressed out or upset. Research shows that dogs help lower anxiety levels, so let yourself be happy and give your pet a pat. Raise the Ruff – Hit the Town with Fido! Feel like going out to watch the game? No problem! Every year, more and more restaurants and bars are becoming dog-friendly, so Fido is welcome to share in on the excitement. Just be sure your four-legged companion feels safe and isn’t stressed out in large crowds! Let’s be honest here… we don’t want to put in the effort every day. Maybe today just feels like a pajama pants and sweatshirt day. That’s okay! Your dog won’t judge you and you don’t have to worry about cleaning up your living room for human guests. Plop down on the couch and don’t worry about all those costs of snacks and refreshments on these dog days… all you need is each other! 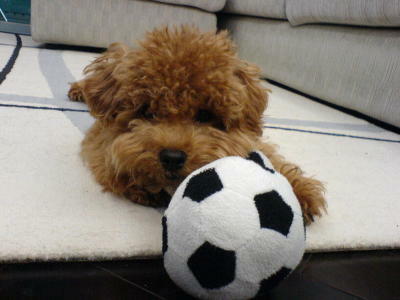 Snuggling is all the exercise I need… let’s leave soccer to the pros. 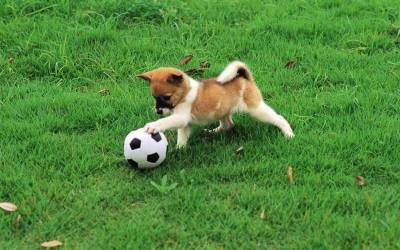 Once the game is over, your pup will always be up for a little pickup game yourselves. Get out and exercise! Where’s your team spirit? The SEMI-FINALS are up next! Show your colors and root for your team. 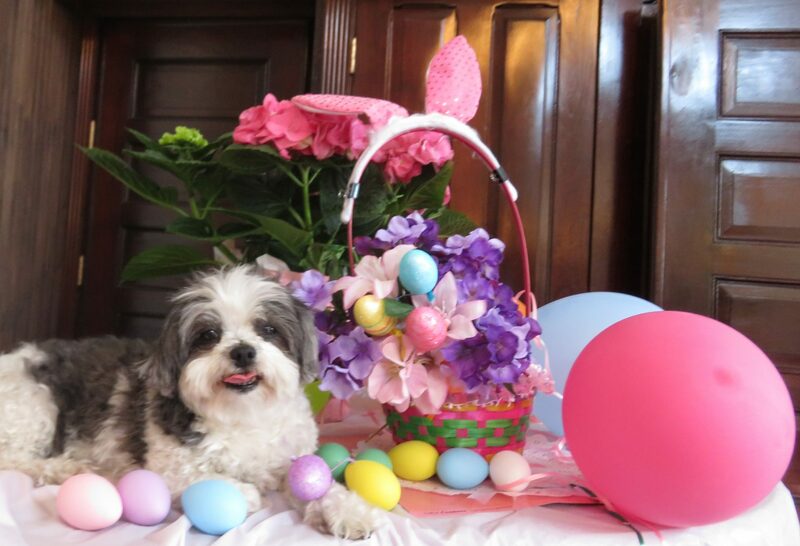 But no matter what you’re doing to celebrate, don’t forget to include your four-legged friend. Today’s big game is USA vs. Japan. Tell us who you and your pooch are rooting for in the comments section! Next articleAdopt Me! Millet the Playful Pit!